A hybrid vehicle is a vehicle that uses two or more distinct power sources to run. Ordinarily, the vehicle which we use daily derives the power from only one source i.e. an IC engine which runs on Petrol or Diesel. But, in case of a hybrid vehicle, in addition to the IC engine, there is an electric battery which is capable of supplying power to run the vehicle. Hence, such vehicles are called ‘Hybrid vehicles’. An internal combustion engine used in a hybrid vehicle may either run on Petrol or Diesel fuel. An internal combustion engine (i.e. Petrol engine / Diesel engine): In most of the hybrid vehicles, IC engine acts as the main source of power. 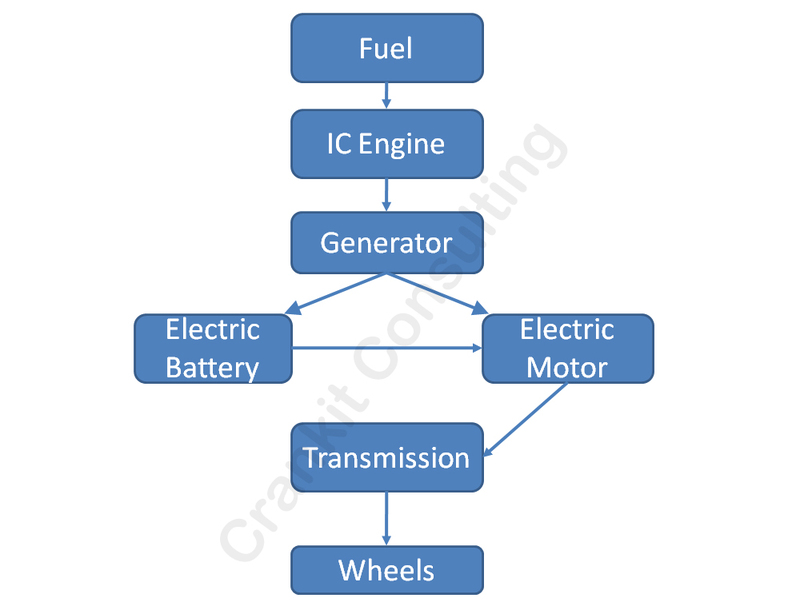 Electric motor: It transforms the electric energy stored in a battery into mechanical energy i.e. it drives wheels with the help of electricity stored in a battery. Electric battery: Its function is to store electric energy and supply it whenever necessary. Inverter: Electricity stored in an electric battery is in the form of Direct Current (DC) while the majority of the motors used in the present day hybrid vehicles require Alternating Current (AC) to run. So, an Inverter performs the function of converting the DC from the battery to AC for the motor. Electric Generator (Exclusive for series & series-parallel hybrids): The function of a generator is to produce electricity when driven by an external power source. Series hybrids use this component where an IC engine drives a generator to produce electricity which then charges the battery. Control Module: It is the most important component of the hybrid vehicle. It controls the entire operation of the vehicle by synchronizing all the power sources employed. In this type of hybrid vehicle, wheels are powered only by an Electric motor which ultimately derives its power from the electric battery. The IC engine installed in the vehicle does not supply power to wheels directly. So, these vehicles need large capacity batteries. The series hybrid vehicle is more efficient in low-speed driving involving frequent start-stop. In this type of a hybrid vehicle, wheels get power from both the IC engine and an Electric Motor. The drivetrain of these vehicles is so designed that it can receive power from both the IC engine and Battery simultaneously. 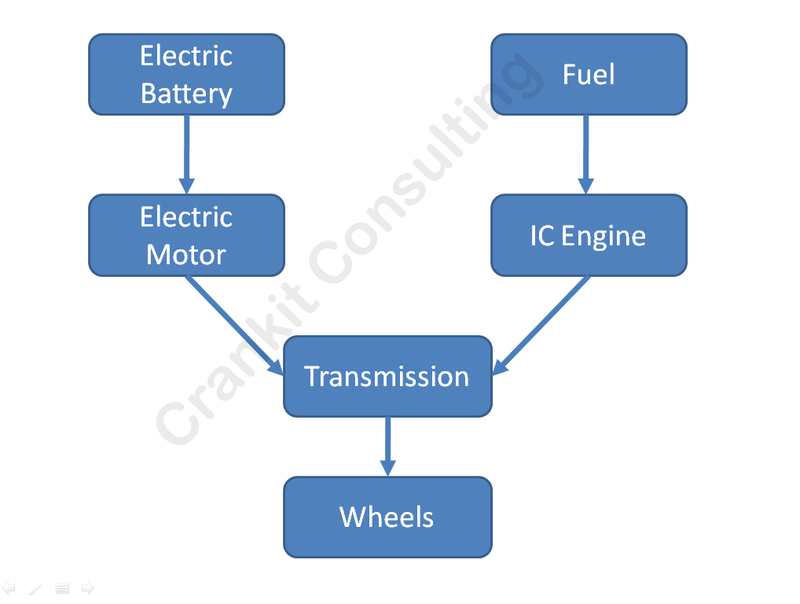 However, the IC engine serves as the main source of power in the Parallel hybrid vehicle. As electric battery’s role is only to support the engine, these vehicles need a smaller capacity battery. A parallel hybrid is more effective in high-speed driving. This recently developed system is a combination of a series hybrid system and parallel hybrid system. Thus, it takes the best from both the worlds. 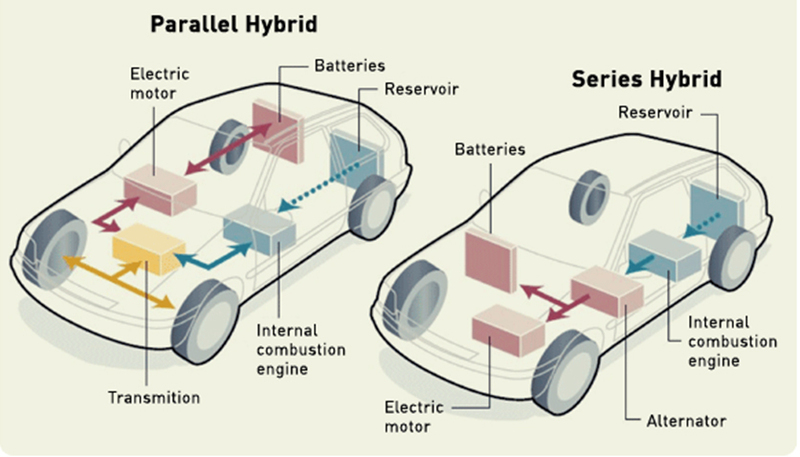 Depending upon the load on the vehicle, it can act like a parallel hybrid vehicle or a series hybrid vehicle. The control module governs the selection of the most suitable mode. Almost all the modern hybrid vehicles belong to this category. E.g. Toyota Prius, Toyota Camry, Honda Civic etc. These hybrids cannot run on electric battery alone. They always need the support of an IC engine to run as the battery used in these vehicles is of a small capacity. This vehicle can run on either the IC engine or the electric battery alone as the battery used in them is of a higher capacity. HET: What Is Honda Eco Technology And How Does It Work? What Are The Types Of Independent Front Suspension? What is Horse Power? How to calculate & use it effectively?